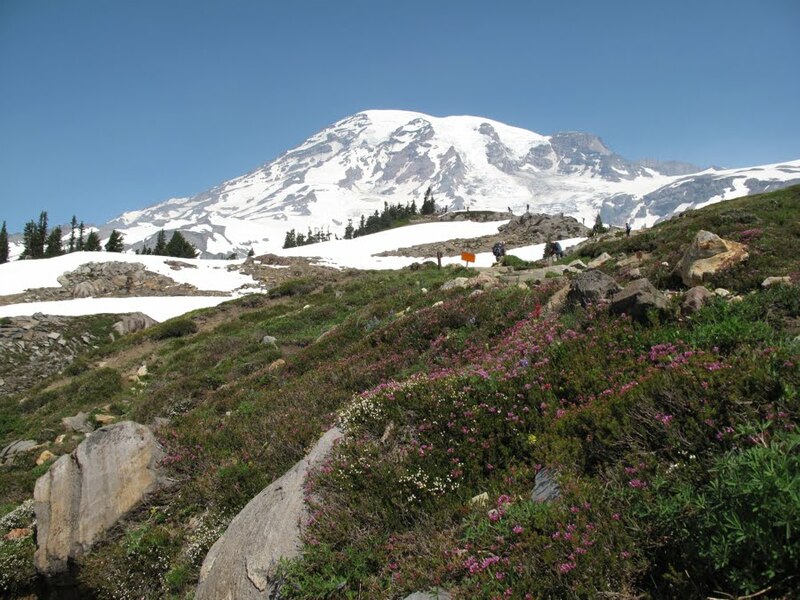 Mount Rainier National Park is a hiker’s paradise. 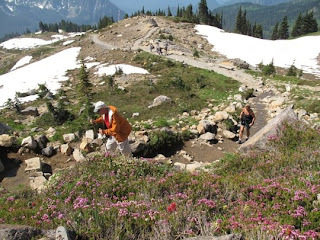 There are more than 260 miles of trails including the 93 mile Wonderland Trail that encircles the entire mountain. On our Washington Coast to Cascades tour, we spend our day at Paradise near the Henry M Jackson Memorial Visiter Center. There, you can take in easy trails such as the Nisqually Vista Trail, the Alta Vista Trail, or for a bit more of a challenge, the Skyline Trail past Panorama Point. The Skyline trail climbs 1400 feet through alpine meadows, past glaciers, and offers incredible views of the surrounding Cascade Mountains. On a clear day you can even see Mt St Helens and Mt Hood. 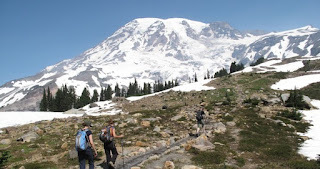 No matter which trail you choose at Paradise, you’ll see beautiful wild flowers, cascading streams and waterfalls, sweeping vistas, whistling marmots, and of course, Mt Rainier towering an additional 8000 feet beyond the trail head! 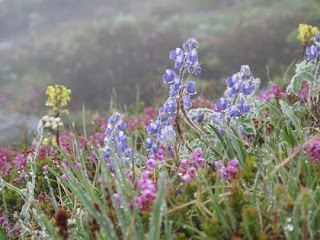 The weather can change quickly on the mountain, so it is a good idea to dress in layers. And don’t forget your boots! 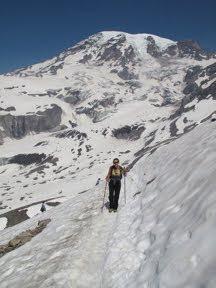 The upper trails can stay snow covered for much of the summer. Our first trip there, we were completely fogged in and didn’t get to see the mountain. 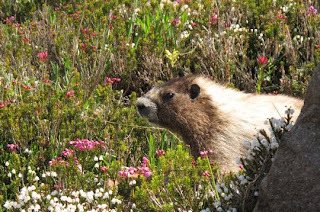 But the hiking, alpine flowers, waterfalls, and wildlife were still amazing! 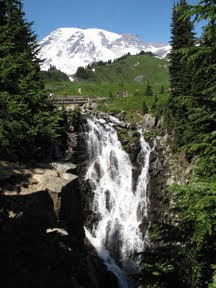 Join us July 9-15, 2011 for our Washington Coast to Cascade and you too can hike at Mt Rainier!